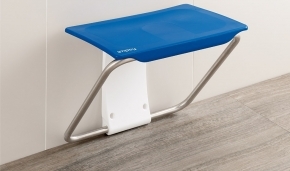 Slimfold Shower Bench Safe, Comfortable And Easy. 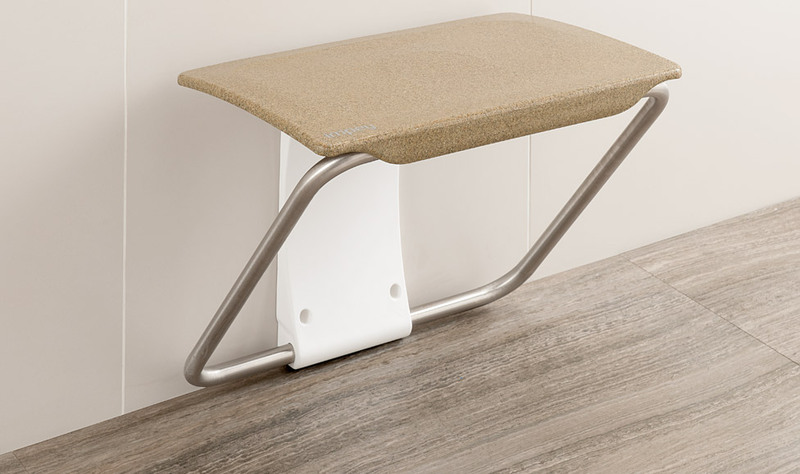 Specifically created to provide comfort, support and assistance whilst showering the bench contains many innovative features including easy clean seating area as well as cushioning and support for long showering sessions. When folded, the bench has a projection from the wall of only 55mm plus you see the stylish top of the bench rather than the underside. To deploy it you simply pull out the front edge so that the rear of the bench slides down. The non-obstructive cross bracing legs allow the bench to be mounted at any height from 417mm upwards, making it suitable for both children and adults. Most benches have a weight limit of around 190kg, however Slimfold has been designed to withstand up to 300kg and has undergone a number of stringent tests to guarantee structural safety and security. 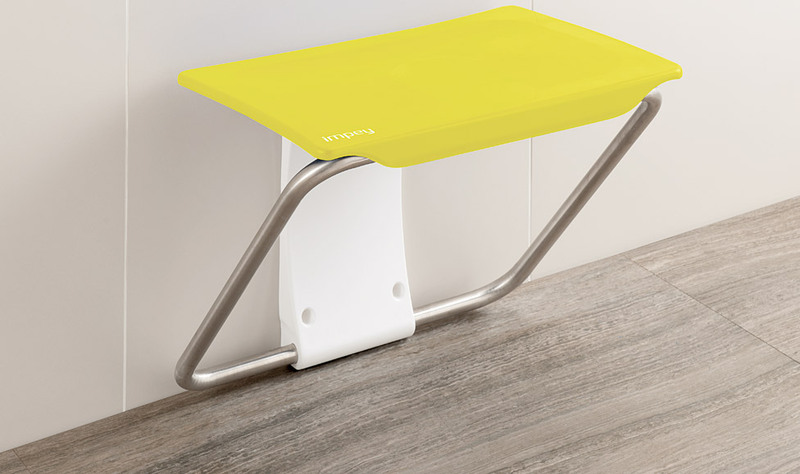 The bench come in a variety of six colours, adding an element of choice to a product that is already a more attractive proposition than current market alternatives. The Slimfold's design adds to the aesthetic appeal whilst maintaining good use of colour contrast for the visually impaired. The Slimfold bench has been widely endorsed by care professionals across the industry, suitable for use within an individual's home right through to care housing and hospitals. New wall mounted design with covered fixings, hidden hinges, extra coving allowance and guides for fitting to all substrates. Cross bracing for extra strength, easy access and mounting as low as 417mm. 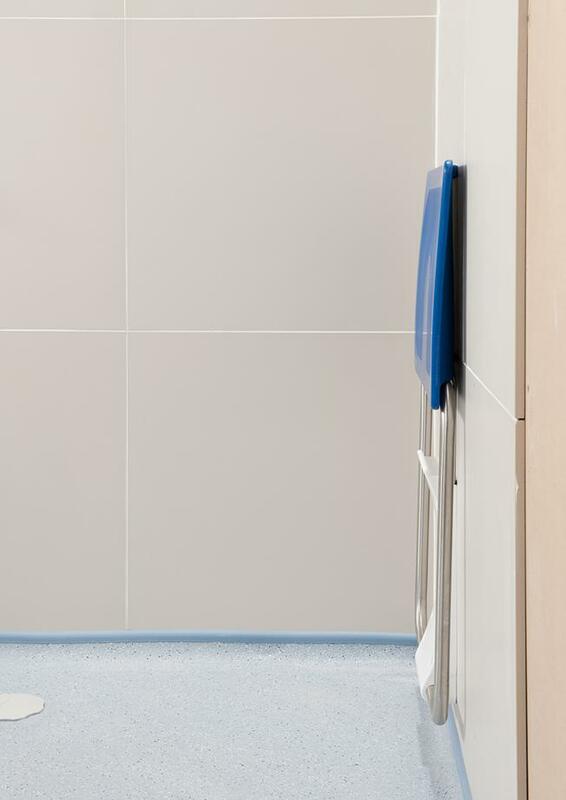 Easy to clean and hygienic - with no dirt traps for bacteria and the seat is angled at 4° so water runs off the back. Comfortable, self-cushioning surface and low profile stowage when not in use. Easy fold down mechanism, simply pull out the front edge so that the rear of the seat slides down. Special order colours: Pink / Purple / Red / Yellow / Orange. Please note their is a 4/6 week deliver on the special order colours. I bought the shower slim fold SEAT(with arm rests). My shower is only 700 mm wide, but this seat gives my long legs enough room. The whole unit is superbly engineered, and with careful height positioning on the wall, (my wife is not very tall) we both find showering so much easier. We are both disabled and with a hand rail in the entrance find access much safer. There is one small design fault however. When the seat is in the closed position, it only takes a slight touch on the top of the seat to let the seat come down quite unexpectedly. I have overcome this fault by sticking a small piece of plastic sponge (about 45mm thick), to the wall so that when the seat is closed, this prevents the top of the seat from being pushed back to past the point of balance. Pulling the seat down compresses the plastic sufficiently to allow the open position to be achieved. My wife and I are very pleased with our purchase. Thank you for a great product.